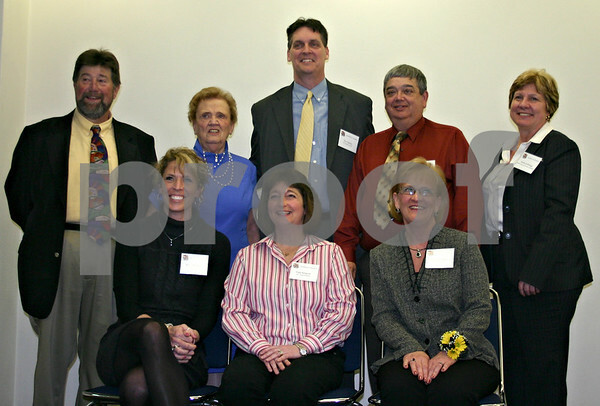 Five people were given presented with Excellence in Education Awards Monday. Pictured from top left are Gil Morrison, Yvonne Johnson, award recipient Tim Carlson, award recipient Daniel Mitchell and Anita Zurbrugg. From the left on bottom are award recipients Elizabeth Ness, Fran Kenyon and Stephanie Forsberg.